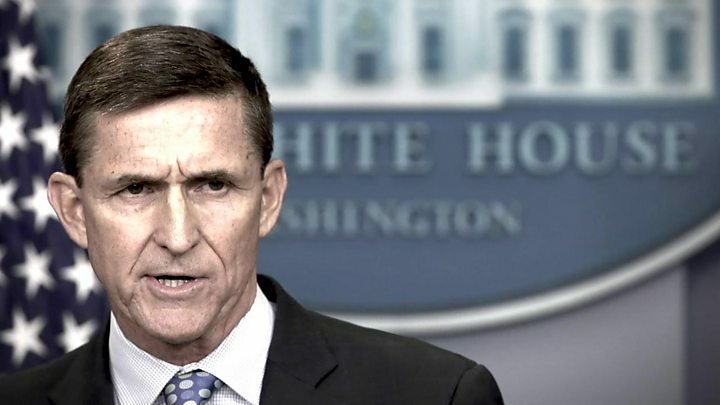 The Watergate scandal of the 1970s is not as big as the Trump-Russia investigation, the former director of US national intelligence has said. "Watergate pales" with what the US is confronting now, said James Clapper. US intelligence agencies believe Russia interfered in the US election and they are investigating alleged links between the Trump campaign and Moscow. But there is no known evidence of collusion and President Donald Trump has dismissed the story as "fake news". US intelligence chiefs are to be questioned on the matter by the Senate intelligence committee on Wednesday. Director of National Intelligence Dan Coats and National Security Agency Director Admiral Mike Rogers testified on Wednesday that they never felt pressure from Mr Trump to influence the inquiry into Russia's political meddling. Thursday will see the much-anticipated testimony of Mr Comey, who was leading one of the Russia investigations before Mr Trump fired him. He will be quizzed on his interactions with the president before he was sacked. Mr Comey reportedly told Attorney General Jeff Sessions that he did not want to be left alone with the president. Mr Clapper's comparison with Watergate will raise eyebrows - President Richard Nixon resigned amid an unprecedented American political scandal involving spying, burglary and a cover-up. 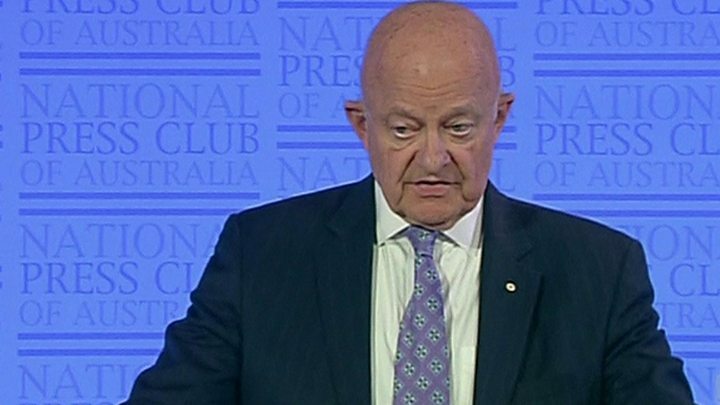 The former intelligence chief, speaking in Australia, said it was "absolutely crucial" for the US - and the world - to get to the bottom of the allegations.